I wouldn’t consider myself “Artsy” or “Craftsy” but I want to be. Somewhere along the way I turned into a DDIY (Don’t Do It Yourself!) gal. Yes, my friend, when in doubt, I leave it to the professionals. Learning a new hobby takes time and practice to get good. I’m not the most patient person. Always in a hurry. But I see so many beautiful products on Etsy that I’ve somehow convinced myself that I could actually turn a few materials into something spectacular. Also, after interviewing, Christine Gibson (click here to read her story), I really got the bug. So goes the hobby I’m tackling next. It’s fake knitting. Don’t you think that’s fitting for a fake crafter? Some of my favorite gifts that I have received are both handmade. One is a scarf from my friend, Nancy, and the other is a hat from my niece, Lindsey. It just made me wonder if I could make something like that. Something that takes skill, the right materials and patience. I bought the materials. At this point I lack skill and patience. 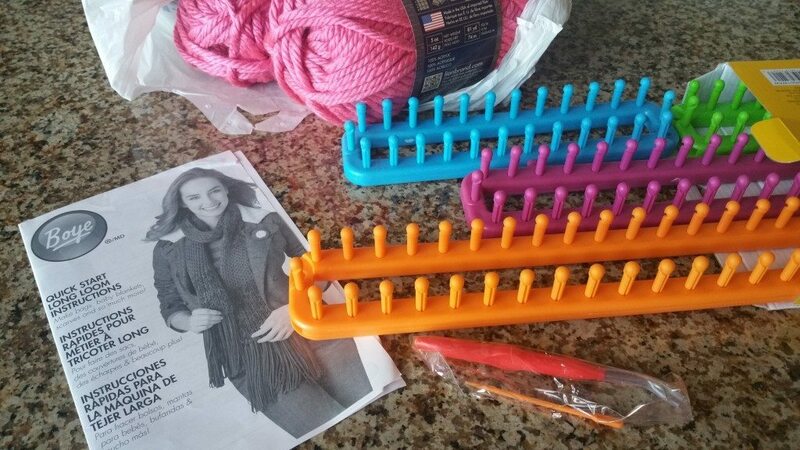 I bought some looms and yarn several months ago. I mean many months ago. Before winter began ago. It has been staring at me like a disapproving mother. You bought me. Now use me! What are you waiting for??? I’m finally sick of carrying it around to various places hoping somehow I would get motivated. I opened the box of looms. I took out the instructions. I bellow out the sound of despair and a few choice words related to frustration. Why does learning something crafty have to be so difficult??? This sweet woman has taught me how to fake knit. I watched the video and found my courage. I mean, it’s just a scarf. What’s the worst that could happen? 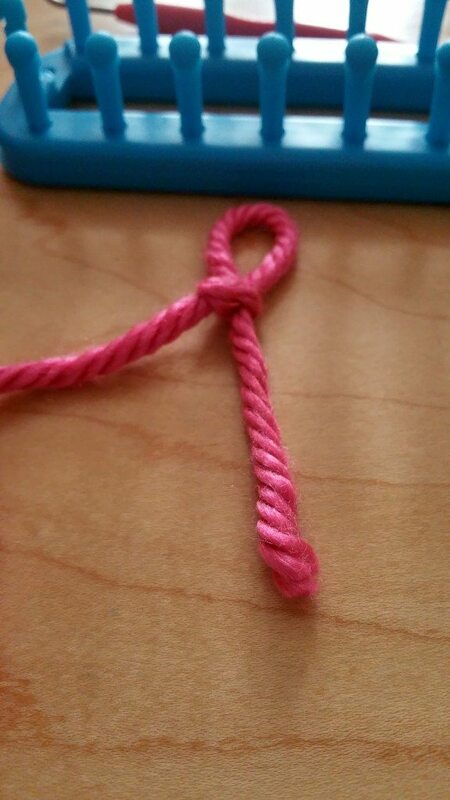 You start with a slip knot. Easy enough. Attach the slip knot to the end peg and start making figure eights down the line. Still easy. Turn around and make figure eights going the opposite way. Now there should be 2 loops on each peg. 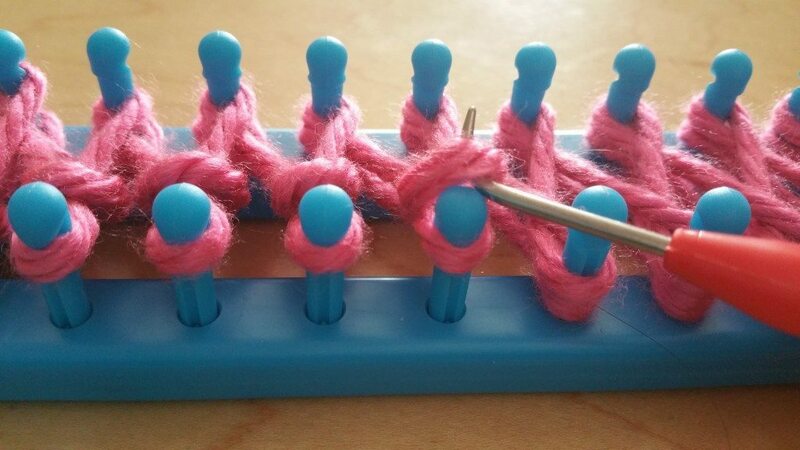 Use the tool to take the bottom loop of yarn and go over the top of the peg to the inside. All the way down one side, then repeat down the other side. Note: there will be only one loop on one of the last pegs, just ignore looping and do all the others. Here is a view from the top when both sides are looped. 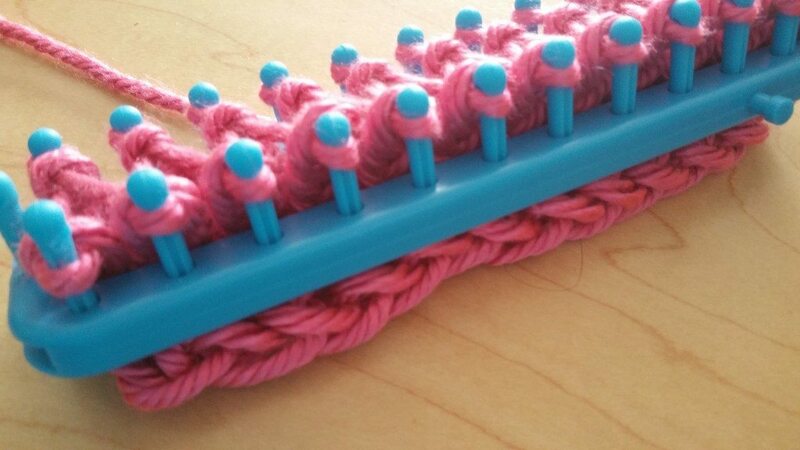 Take your finger and press the single strand of yarn down to the bottom of the peg. This will be the strand that is looped over the peg on the next round. That’s all there is to it. Make figure eights. 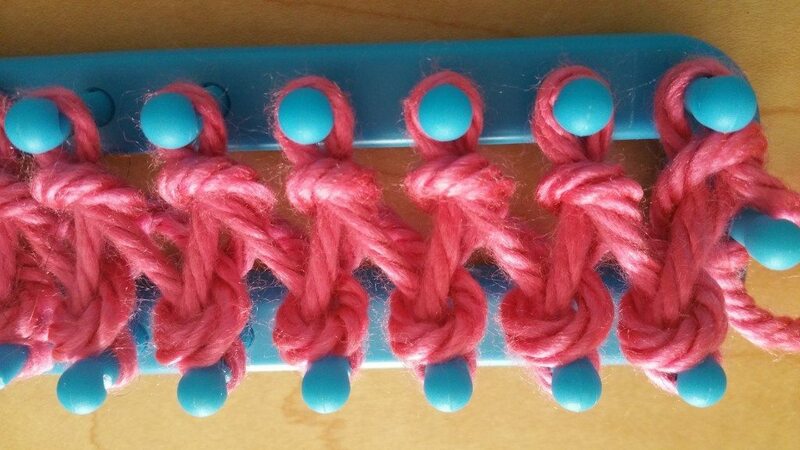 Loop the bottom strand over the top on each peg and repeat. 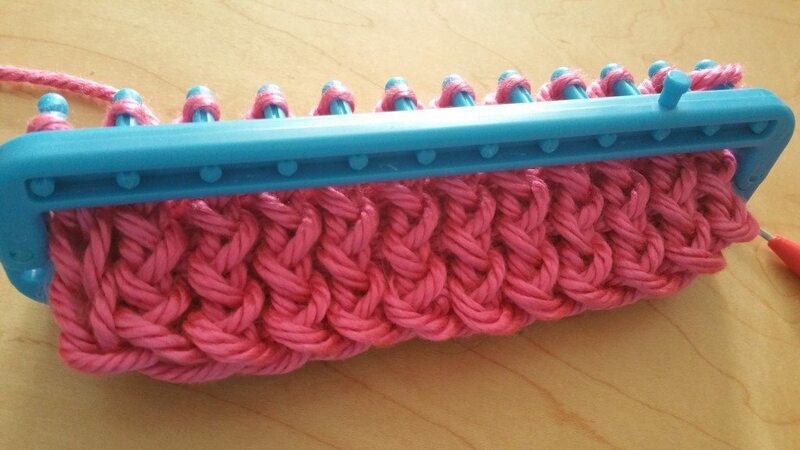 You will start to see a baby scarf come out of the bottom of the loop. Prepare to be excited, my fellow DDIYers! 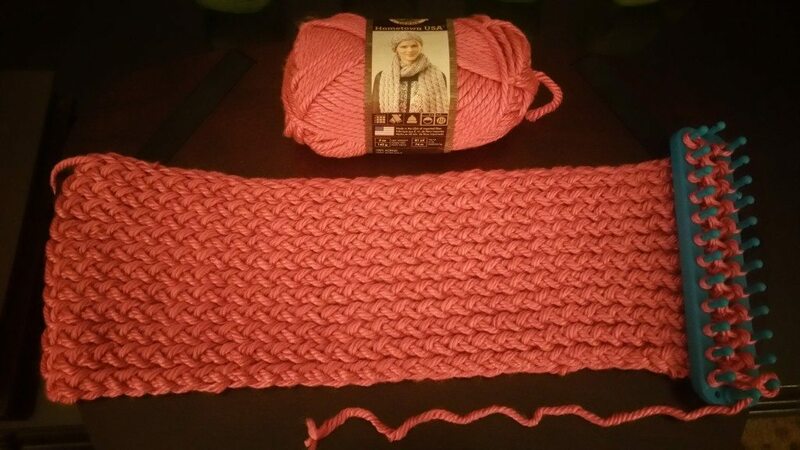 Here is the length of the scarf after using one of the skeins. It comes out to about 20 inches. I used 3 skeins to make a long scarf. 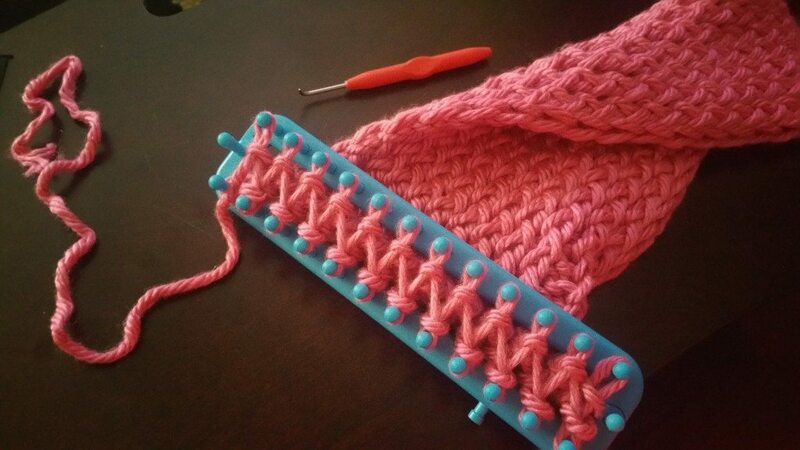 After I got the hang of it, I was able to watch TV while knitting with the loom. I say this with pride because when I was in high school, I tried to sew a blouse and watch TV. I ended up sewing one of the armholes shut. After meticulously seam ripping it out, I did it again! More seam ripping. ARG! So, after a couple of days, I finally came to the end of the third skein. OH NO! I almost left you hanging. 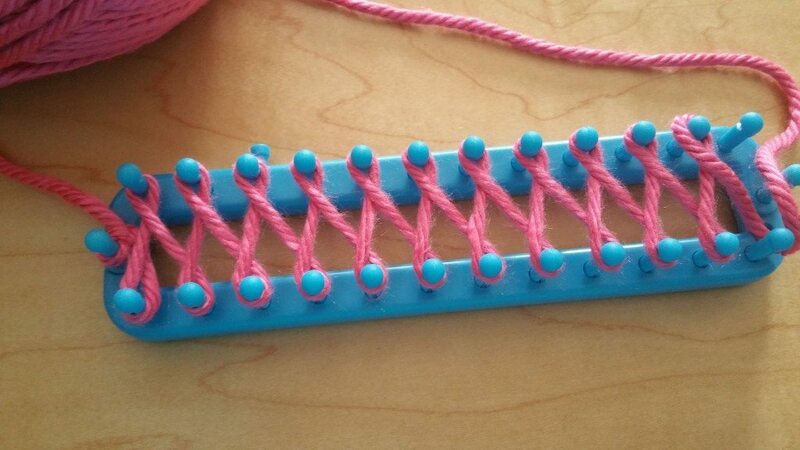 The sweet woman that taught me how to use my loom, also has a video on how to tie off. You obviously can’t wear that loom around! Here is her video to do that. 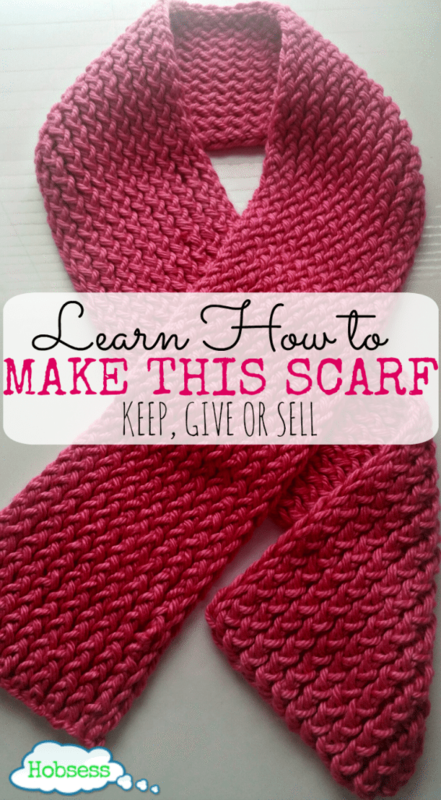 Here are the materials if you are interested in learning how to knit a really easy scarf. 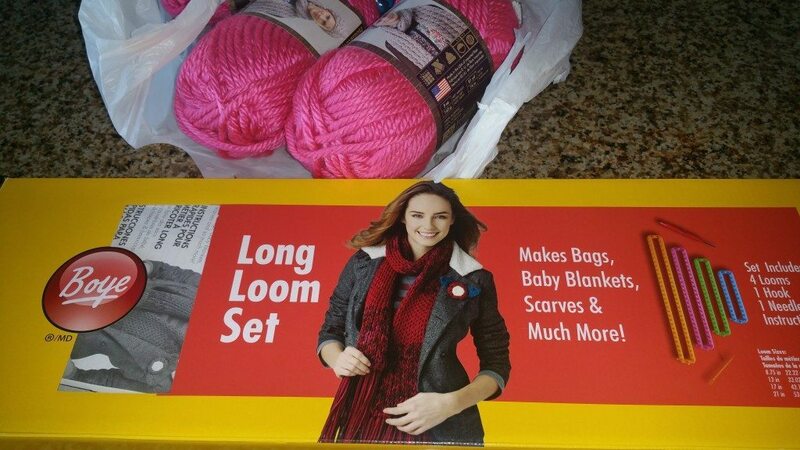 I got these looms from Boye and 3 skeins of Honolulu Pink yarn. You won’t even believe how soft this yarn is. You’ve got to feel it to believe it. These are both affiliate links. You can read my full disclosure here. It didn’t take long for me to learn and I thought it really turned out unexpectedly fantastic. Remember, I’m not very crafty so I know yours will turn out 10 times better. I think the only thing I would have done differently is to buy another skein and make fringe on the ends. Although, I do plan to wear it “as is” the next chilly opportunity that I get. 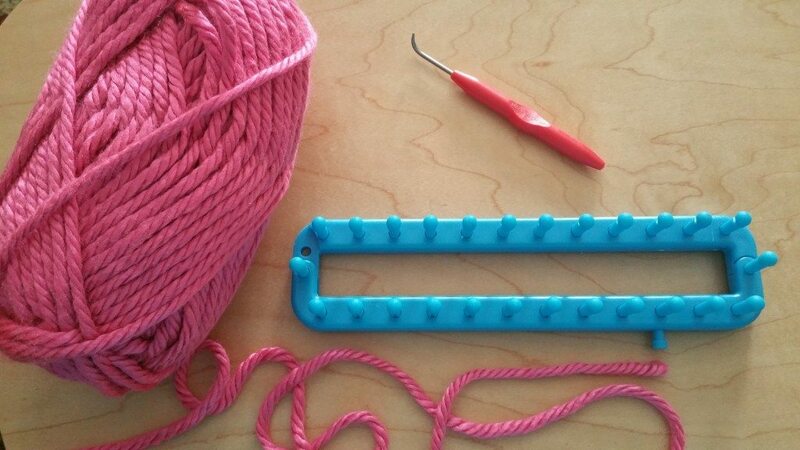 Have you ever knitted with a loom? Are you interested? Tell us all about your experience so we can learn from you. Oh yes, Alissia, you can do it! Trust me, girl, if I can do it, anyone can! I’ve never used a loom so the detailed photos are appreciated! I think I might give it a try. 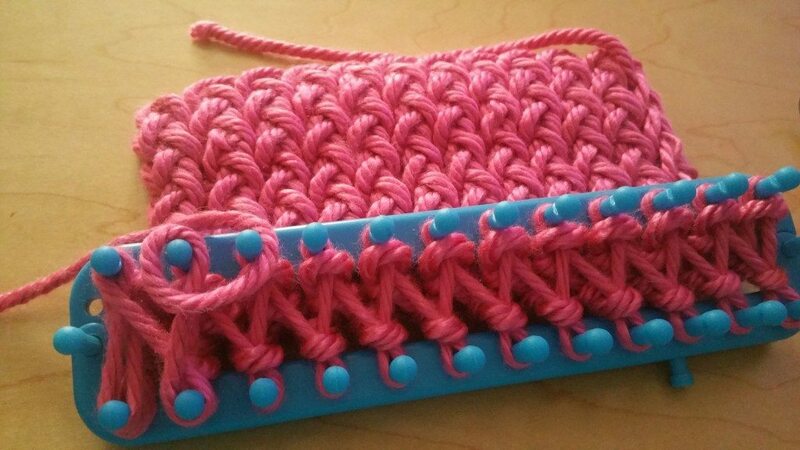 As a basic knitter, this looks like I’d be less likely to make mistakes. I don’t know how long it takes to actually knit a scarf this long but I was able to knock this out in 2 days. I thought that was pretty fast. 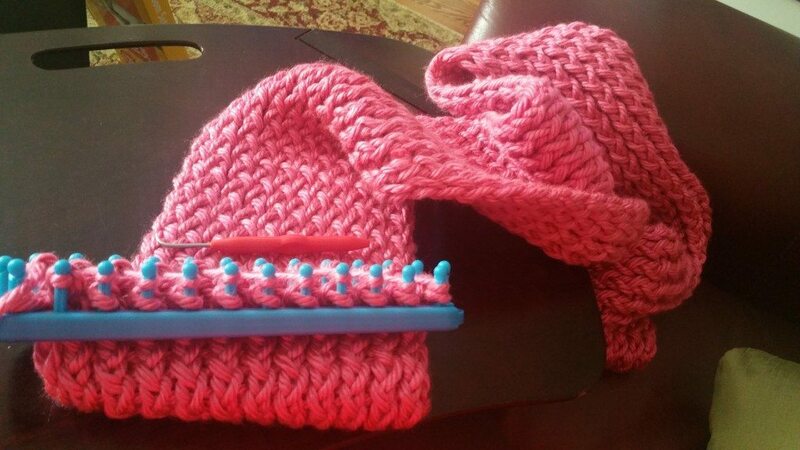 I’m always impressed when I meet someone who actually knows how to knit, the real way. Kudos to you, my friend! Elena Peters recently posted…12-Steps from (Empty) Nest to Zest…Let’s Get This Party Staaarted! Great tutorial, Rev. One day, some day, maybe, I’ll be able to learn how to do something like this! You’re so talented! Great idea–especially to begin to get people hooked on crafting (no pun intended)! Fake it until you learn it!